HOW TO FIND US | ROOFTOP ARTS CENTRE. 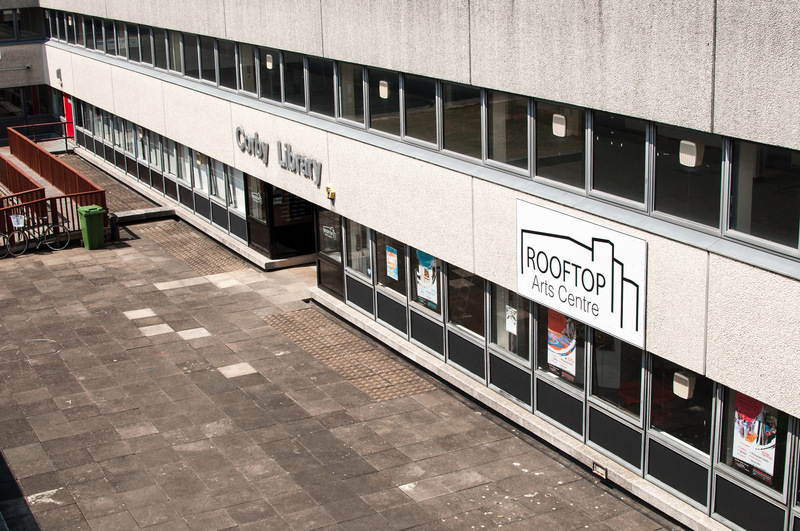 The Rooftop Arts Centre is tucked away in the heart of Corby town centre in the building that once housed the Corby Library. On foot find the stairs next to Flowertime which is next to the entrance to the mutli-story carpark. Head up the two flights of stairs to reach the next level and then turn right to see us in front of you. We are accessible via the lift in Chisholm House next to the town security office. This is located just past Flowertime through a white automatic door, keep to the left and the lift will be in front of you. Take the lift to the first floor to reach the rooftop. Once out of the lift continue to your right through a door and we will be on your right. Parking is available at the nearby Car Park and we are just a short walk from the top level that enters the town centre area. There are lifts and stairs from the car park to the town centre. The car park does charge so please pay attention to the displayed information.